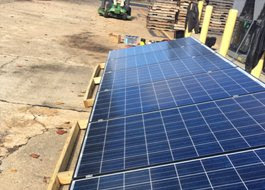 How one Marine veteran built a new civilian life with help from the Solar Ready Vets®Program and Scudder Solar in Marina, CA. Following boot camp, our young men and women are stationed all over the U.S., from Albany to Hawaii, learning new skills and then sometimes traveling to dangerous assignments in other countries. Their time in the military is valuable, but often feels too short. And the transition from military to civilian life forces veterans to carefully consider career options. 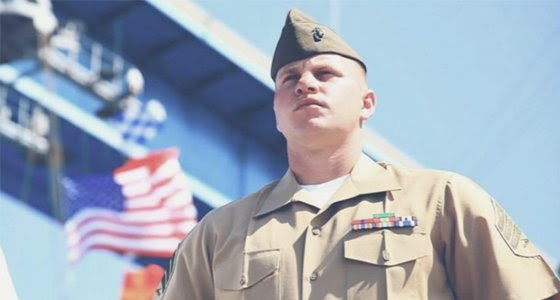 After nine-and-a-half years of active duty serving everywhere from Parris Island, South Carolina for boot camp, to Afghanistan in fire support of troops clearing the Sangin Valley, it was Josh Rucker’s time to choose what he was going to do with the rest of his life. Towards the end of his time in the military, a new career path was weighing on his mind and something…whether fate or simply a little luck, kept pushing him towards the solar industry.  Josh’s father-in-law is Mark Jacobi, who just happens to be a partner (along with Pete Scudder) and general manager at Scudder Solar Electrical Energy Systems based in Marina, CA – one of the top 500 solar contractors in the country according to Solar Power World Magazine. He signed Josh up with SunPower University for some online courses to learn the ins and outs of solar and see if it would be a match. And it was! Josh loved the idea of a career in solar and the thought of bringing his wife and two daughters closer to their family in California after he finished serving, but he also knew he was missing hands on experience with solar. He needed to be in the trenches learning everything about the industry – from the smallest installation details to the most complex trouble-shooting skills – and he needed to utilize every unique skillset he had gained over almost a decade serving his country, and everything in his background that had brought him to this point. The timing couldn’t have been better. 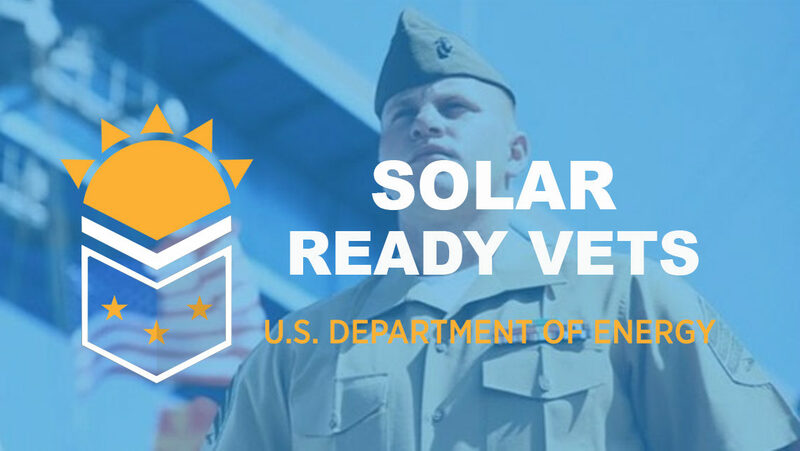 The U.S. Department of Energy’s Solar Ready Vets® program was launched as a pilot program in 2014. By the time Josh was ready for a new career, it was a national program, (Solar Training and Education for Professionals – STEP) administered by The Solar Foundation, and Scudder Solar had recently signed up as an employer/partner with the Solar Ready Vets®Program hoping to attract and train the best of the best from veterans flocking to take advantage of what the industry could offer them. The U.S. Bureau of Labor Statistics (BLS) is the best source of information for anyone considering a good career in this country. The BLS predicts a 105% increase in the number of solar power installers through 2026. “Much faster than average,” the BLS demurs. Another way to describe that career growth? Gangbusters huge! Since 2010, solar-related jobs increased 168% and the industry is anticipated to add 36,000 full-time workers every year for the next 5-7 years. Many veterans will say the hardest part of any military to civilian career transition is probably the challenge of actually leaving the structure of military life and translating those skills (where you are an expert in your field) to a new kind of workforce, as well as all of the learning that goes along with it. There is also the need for many veterans to find something rewarding to work at – something that lets them feel as if they are paying things forward and giving back. Courageous, honorable, disciplined, proud, adaptable, curious, professional…there’s a saying in the military that you are either a soldier or a civilian. All of these attributes that often make up an outstanding serviceman, are also qualities that are transforming veterans into some of the most sought-after candidates for joining the solar industry. Josh Rucker’s time training in the Solar Ready Vets®Program was spent just outside Ft. Bragg in North Carolina at Fayetteville Tech Community College. 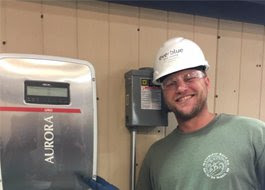 Before that, he took more than a year thinking about and preparing for this transition, and he is now trying to settle into his work with Scudder Solar in Marina, along with another Marine veteran at the company. According to statistics, approximately 250,000 active military personnel (the size of a small city!) leave the military each year and become veterans. Many of those same veterans will face challenges and difficulties with re-integration, and one of the biggest hurdles will be finding a new, fulfilling career in this often messy, civilian world. They seek careers where they will be able to utilize all of the training, skills, and qualities that were valued during their military days. The solar industry – itself at somewhat of a crossroads and transformative moment in this country – may just be the perfect match-up. Serving the Entire Central Coast Including Monterey, Santa Cruz & San Benito Counties. Custom Crafted Energy By Team Scudder. Lic#902095.